The two hundred years' (and counting) peace is a time of tranquility that hasn't been seen since . . . well, never. Mankind in the Galactic Age had finally conquered war, so what was left for the military to do but drink and barbecue? That's the kind of military that Sergeant R. Wilson Rogers lived in before he left the fleet to become a smuggler. But it turns out that smuggling is hard. Like getting-arrested-for-dealing-with-pirates-and-forced-back-into-service kind of hard. It doesn't seem so bad-the military was a perpetual tiki party anyway-but when Rogers returns after only a year away, something has changed. These are soldiers-actual soldiers doing actual soldier things like preparing for a war that Rogers is sure doesn't exist. Rogers vows to put a stop to all this nonsense-even if it means doing actual work. 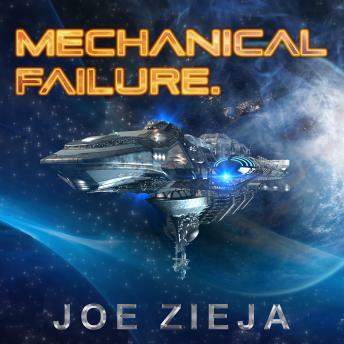 With an experienced ear for military double-speak, Joe Zieja has created a remarkable and sarcastic adventure in Mechanical Failure.